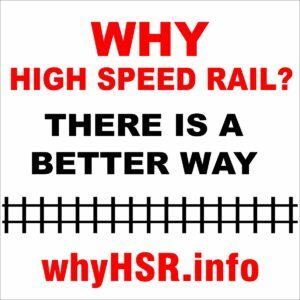 InterCityRail – An organization to promote evidence based solutions for passenger rail transportation in south western Ontario. 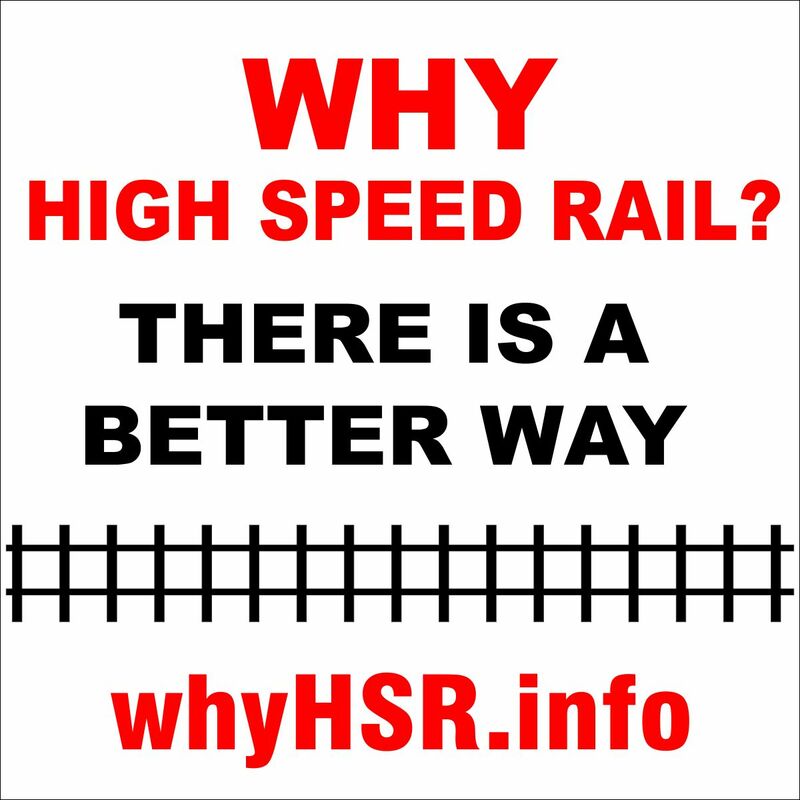 If you entered www.whyHSR.info in your browser, you will have been redirected to this website. 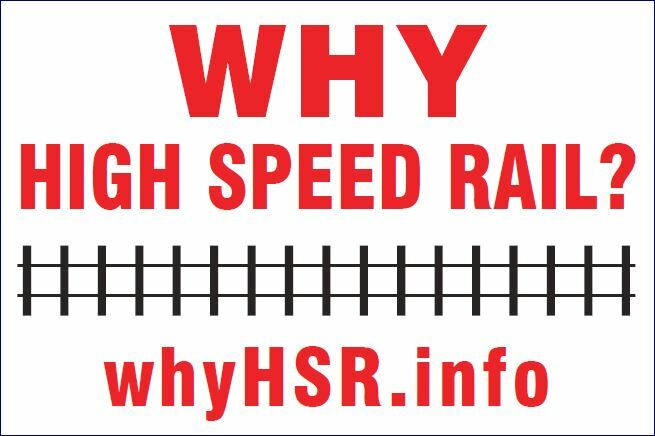 InterCityRail uses the www.whyHSR.info address on our signs as this more accurately reflects our current concerns with High Speed Rail. The previous government restricted the Environmental Assessment, without any public discussion, for the Kitchener to London segment to only consider 250 kph trains in a dedicated right of way, within or adjacent to the Hydro line running in a straight line from CN North (near Baden) to CN South (near Veterans Parkway and Gore Road). No other modes of transportation (ie: GO Trains, VIA Rail or Regional Express) will be considered and no other routes will be looked at (ie: use existing rail right of ways, or the 401 corridor). It was never understood why the government proposed High Speed Rail when there are clearly better ways to improve transportation in southwestern Ontario. Because of the lack of information provided by the government, we filed a Freedom of Information Request. The government has repeatedly said that the travel time between London and Toronto will be 73 minutes. The Freedom of Information Request shows the governments’ figure is based on 300 kph maximum speed instead of the proposed mix of 200 kph and 250 kph trains. Their calculations were based on train operating characteristics that would be unsafe for passengers including excessive braking and ignoring industry mandated buffer zones at stations. The travel times generated by InterCityRail and others, are in the range 100 to 110 minutes, significantly longer than the governments’s numbers. The Freedom of Information Request revealed that the government could not provide data to support the projected ridership numbers. Given that an average of approximately 1,800 one-way passenger trips are made daily on existing VIA Rail (2016 data) between London and Toronto, it is difficult to perceive how this can be increased to the approximately 10,000 or more trips required to justify the estimated $5bn cost of the high-speed line between Kitchener and London. The current Environmental Assessment must be either stopped or expanded to include other options. If the EA continues as-is, the Terms of Reference will be created that will protect the route along the Hydro corridor and no private building permits will be issued thereby limiting productivity and growth of the local agricultural industry. Even if the project is eventually turned down by the current government, the land will still be protected and a future government can decide to build High Speed Rail and use the results of the restricted Environmental Assessment as-is, without further studies or consultation. Use the 401 transportation corridor.